The Financial Markets Authority (FMA) says it wants KiwiSaver providers to use an investor’s balance at the date the units of their fund are valued when calculating the dollar amount of fees paid by investors for annual statements. The regulator says this is its preferred way for providers to calculate fees, but it has offered them a second option, which is the investor's average balance. The FMA says KiwiSaver scheme providers must allocate fees charged at the fund level to investors using one of the two methods. From 2018 KiwiSaver scheme providers must disclose the total fees each individual investor has been charged, in a dollar amount. "The FMA wants to ensure providers are calculating fees accurately without burdening them with unnecessary costs and ensuring they have time to comply," the FMA says. b) The investor’s balance at the date the units of the fund are valued." The FMA says doing so will enable all KiwiSaver providers to detail fees in dollar terms as required for annual statements to be sent to members in 2018. "Our preference is for providers to use method b), the investor’s balance at the date the units of the fund are valued. The methodology notice will be reviewed within five years, including a decision about whether all KiwiSaver scheme providers will be required to use method b)." "The details of the methodology and response to submissions are contained in the regulatory impact statement published here," the FMA says. 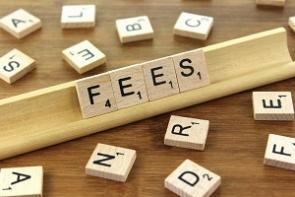 Gareth do the "fees" that keep getting referred to include fees/costs paid to other managers in the investment layers/? Sorry don't know correct terminology but do you see what I mean? Yes most kiwisaver fund 'managers' just invest in overseas ETFs or mutual funds. Are they including the fees charged by e.g. vanguard? What would great is if we could just cut out the middle man and invest in the ETFs directly. What value are the kiwi saver providers providing? For instance in the UK you can manage your own pension saving through a self invested personal pension (SIPP). Providers typically add a small percentage admin fee capped around 250/year. Fees charged by the underlying ETFs would be charged as part of the Kiwisaver fund's management expense ratio, but some of the US-listed ETFs in particular have very low MERs themselves (like less than 0.10%), so it's not always a huge burden. If one wants to invest directly in ETFs, the nearest market is Australia. Australians also get their SMSFs (self-managed superannuation funds), but I understand that the annual compliance paperwork is significant. On the other hand, I think they get to pool money together, to create something like a PIE fund here. For some reason, we were never given the option to manage our own super; it would be interesting to know why this decision was made when Kiwisaver was first floated as an idea. Lack of financial literacy in the NZ public? The shadow of the various finance company collapses that started early 2006? It does include fees charged by an underlying fund which the fund is invested in when those fees and costs affect what’s being distributed to investors.